Membership sites are a stellar way to increase revenue and improve client engagement over the long-term, but setting one up can seem overwhelming and time consuming. However, plugins such as Restrict Content Pro make the process a breeze, and offer you almost all of the features you need to get started. In this post, we’ll offer you an in-depth overview of Restrict Content Pro. This will include a look at how restricting content can be good for business, as well as a tour of the features and benefits that can help you on your own site. By the end, you’ll have all of the information to decide whether this solution is right for you. You don’t need to be part of a particular niche to benefit from content restriction, either. As long as you have content that visitors are willing to pay for, a membership site will be an option to consider. It could offer recurring revenue for your business. You have the ability to create highly-targeted content to fit subscribers’ needs. There’s a ready-made market for your business’ products and services, as well as a way to increase affiliate income. You have protection against plagiarism or other forms of content theft. There’s an increased connection with readers and the ability to communicate in a more direct and personalized manner. In short, restricting your content is great if you want to maximize your income by selling your site’s content. Let’s take a look at a tool that can help. Restrict Content Pro is a premium WordPress plugin that enables users to create membership sites and manage content within a few clicks. There’s also a free version, but it’s almost unrecognizable when its functionality and quality are compared to the premium version. You can create an unlimited number of subscription levels (including free, paid, and trial) with which to restrict your content, track payments and signups, offer discounts, and more. Restrict Content Pro even integrates seamlessly with dozens of third-party apps and themes, and what’s more, it also plays nicely with Divi. Offers unlimited subscription levels with full customization. Integrates with PayPal and Stripe, and enables you to add your own payment gateway. Provides the ability for end users to upgrade or downgrade subscription levels at any time, receiving prorated credit or paying the difference. Enables you to send welcome emails, payment receipts, and upcoming payment reminders. Pricing: Starts from $99 | More information. Most of the options here relate to setting some necessary pages (which have already been created for you), but one that will need your immediate attention is the License Key box. You’ll need to add yours by following the simple instructions in order to receive automatic updates and support. Moving on, there also other tabs that may require your attention, and taking the time to set them up as you prefer will benefit you in the long run. Throughout, you’re able to set payment guidelines, configure emails for various subscriber actions (such as sign up, cancellation, expiration, or payment confirmation), access and download any created PDF invoices, and customize various other settings. Once you’ve set the plugin up, it’s time to explore its other capabilities – let’s take a look! As we’ve alluded to, Restrict Content Pro has a wide range of features. Let’s take a look at five of the most important ones, along with a brief look at how to best use them. 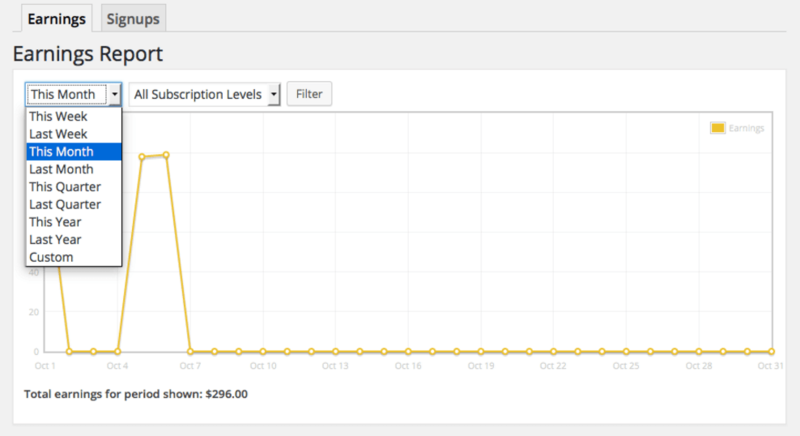 Here, you’ll have the ability to set up your levels, price them accordingly, and set a subscription duration. To add a new membership level, simply enter the details into the given fields, then click the blue Add Membership Level button at the bottom. 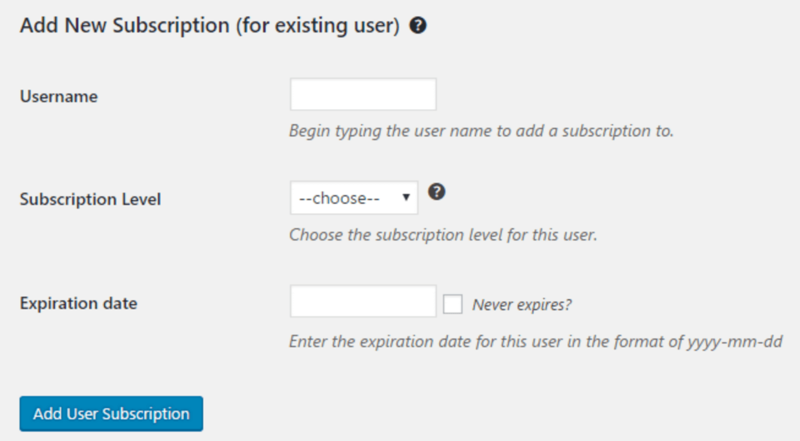 Finally, click Add User Subscription and the new user is all set. Let’s now take a look at the core of the plugin – content restriction. With Restrict Content Pro, there are two ways: wrapping content with the restrict shortcode, or via the dedicated meta box found on the post or page editor. Shortcodes are best for restricting specific content on a post or page, although they can be used to restrict the entirety of a page’s content as well. To set this up, navigate to Posts > Categories on your WordPress dashboard. Choose a category, give it a name and set a description, then tweak the settings to your liking. You can limit categories to premium subscribers only (by ticking the Paid Only? checkbox), or manually pick and choose which subscriber levels will have access. This is one feature that really shows how versatile Restrict Content Pro is. From Restrict > Discount Codes you can offer discounts to any members you choose. It’s going to be ideal for offering ‘test drives’ to your site. You can restrict discount codes to specific membership levels, and even set expiration dates and a maximum number of uses. Creating discount codes follows a similar process to adding a subscription level – fill out the fields, then click the Add Discount Code button. Your new code will then appear at the top of the screen. It’s always a good idea to keep up to speed on your membership site’s earnings and signups. Knowing how well your current subscription levels are working for you gives you an opportunity to switch your marketing focus to a different (and potentially more lucrative) plan for your subscribers. 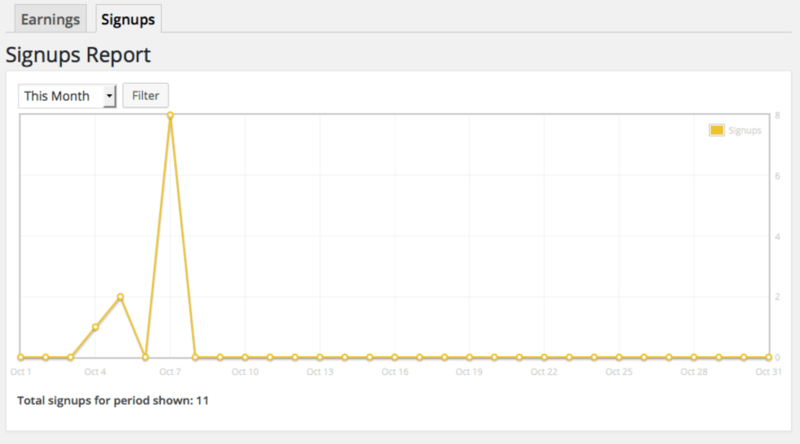 Using this feature, you can see where lulls in earnings and signups are more likely to occur based on past history. With this information, you can create initiatives (such as trial memberships or discount codes) around those lulls in order to drive subscriptions. Last but not least, Restrict Content Pro has an array of additional add-ons and integrations that could potentially enhance its functionality. A number of free add-ons are included for all users, but those with Professional and Ultimate licenses also get access to some premium add-ons (with more to be added down the line). What’s more, there are also third-party add-ons available. Integrating add-ons in this way makes them easy to manage, if you decide you no longer want to use an add-on, they’re just as easy to uninstall. Simply navigate to the Plugins tab and uninstall them as you would any other plugin. Ultimately, you’re looking for a content restriction plugin, and will need to make a decision on whether Restrict Content Pro is right for you. Overall, the plugin easy to install, customize, and use, but it’s also full of features not found in the competition’s offerings (both free and premium). What’s more, it’s from a major WordPress plugin developer, so the codebase will be solid and support will always be on-hand. Of course, only you can decide whether the plugin will meet your specific needs. However, we believe it’s a stellar contender for your cash. Restrict Content Pro also has a 30-day money back guarantee – so there’s plenty of impetus to try it out for yourself! 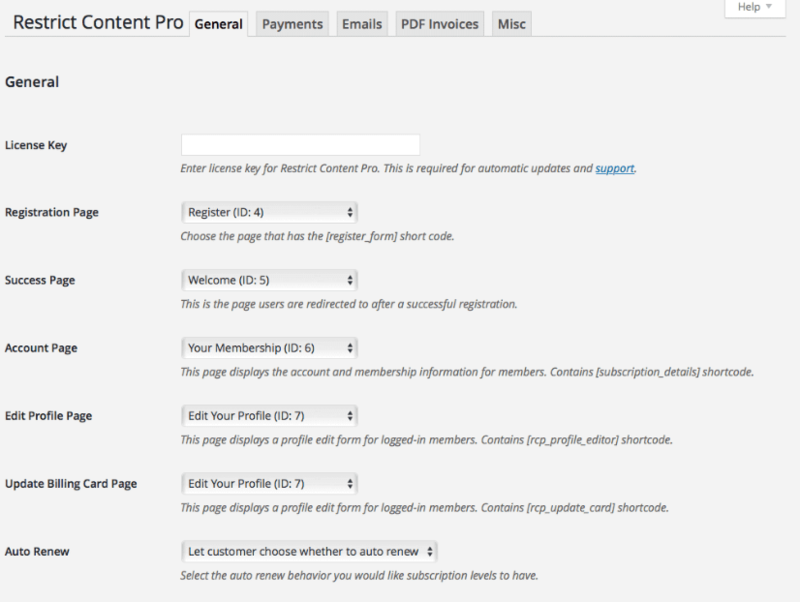 Creating a membership site doesn’t need to be difficult, especially when solutions such as Restrict Content Pro exist. From its arsenal of features – including full member management and variety of add-ons – down to its user-friendly interface, Restrict Content Pro is certainly a frontrunner in its field. 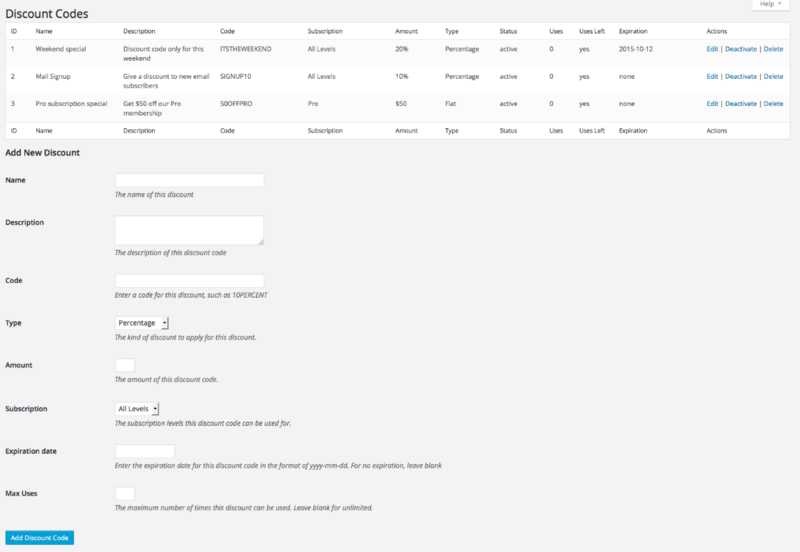 Track payments and pour over reports. Enhance its functionality through add-ons. 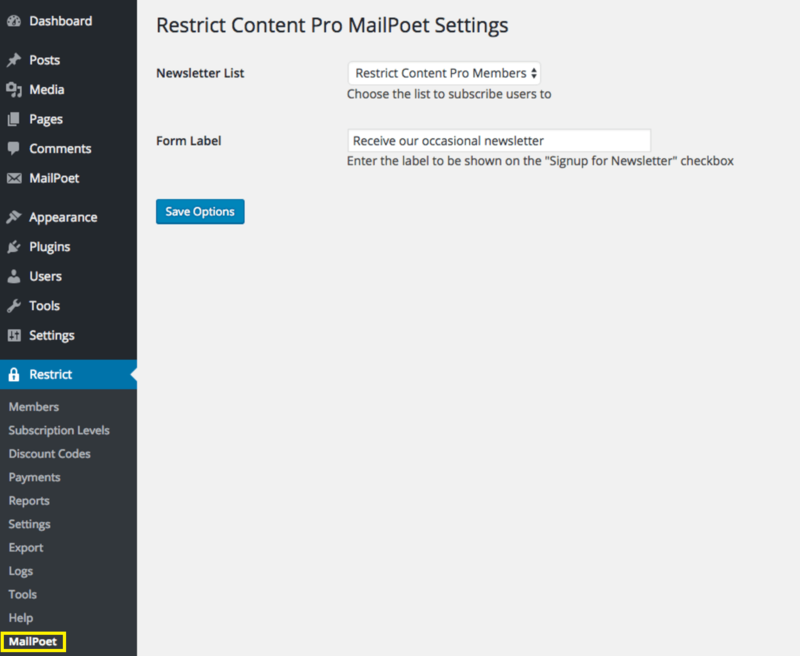 Are you impressed by Restrict Content Pro, and what will it do for your membership site? Let us know in the comments section below! Article thumbnail image by ayax / shutterstock.com. Awesome post. I love the Restrict Content Pro. It has some great options but lately the updates are stagnant. Other players are catching up to it and I am very motivated to switch right now. I am hearing good things about Content Locker pro but haven’t seen any use it live. Do you have any experience with it? We’ve been very active the last 10-12 months, as you can see from all the announcements on our blog. If you’re looking for something in particular, please feel free to reach out on our contact form! I’m glad you like Restrict Content Pro! Over the last year we’ve actually dramatically sped up our development process and releases. In fact, over the last six months we have released nearly 20 updates to the core plugin alone, along with numerous updates to add-ons. Thanks John. I’ve been trying to figure out what subscription/membership plugin that I’m going to use for my new course I’m developing. RCP has always been on the list, but I have yet to make a decision. This post has helped inform that decision, though! Keep up the good work. What do you think of Memberpress? Hi Dave. We’re unfamiliar with the functionality of that plugin, so we’d be interested to hear what others think of it! This is certainly one of the most credible membership plugin when one looks for tiered subscriptions levels (meaning there is a hierarchy). When you need non tiered levels (meaning there is no hierarchy), you’ll need to go for another one like MemberPress which is probably the best in that category. If you are an European citizen selling e-products, you must consider how those plugins are handling the specific VAT obligations. @Eric: your last sentence is precisely one of my tougher struggles. Have you found a solution to implement the VAT rules (tech- and admin-wise), and could I get in touch with you about that if so? @All: I’m currently trying to find my way in Restrict Content Pro. Good and easy at basics, but (seemingly) not yet very flexible in e.g. customizing the registration / payment page. It also has a couple of oddities when payments are aborted and the visitor returns to your site. So far: positive but not hooked to RCP. You have a NL based business… so I understand completely your struggle. I’ve been searching like crazy for the right combination of WordPress products as I want to sell online courses. I didn’t decide yet the one I’ll use. The EU regulation will change in 2018 and 2021 (will be simplified) but I still didn’t find really and excatly what is going to change and I need to understand it before I start the whole thing (I’m not in a hurry). 2 years ago, Taxamo built a plugin for RCP but it has not been maintained and actually, the plugin for Woocommerce seems to follow the same direction. The whole integration page on the Taxamo website disappeared (or is hidden somewhere). I’m not a tax specialist nor an accountant or legal person. I just like to understand how things work (or not). Wow Eric, that’s more than I hoped for! I had also been searching like crazy, talking to a lot of people, but nobody knew of practical solutions (including our tax authority), and what I had found was not satisfactory. But with your response, I know what to do … Thanks a bunch! Just to clarify one thing. There is no hierarchy in Restrict Content Pro membership levels. They all stand alone, without tiers. This is not what I experienced but probably I didn’t get deep enough in the settings. Or maybe I didn’t explain it the right way (as french is my primary language). According to me, and the documentation I found, and some external reviews like the one made by Chris Lema (link below), there is no way to subscribe to multiple concurrent membership “levels”. “Access levels are one of the elements of subscription levels that you can configure when setting up the membership levels for your site. 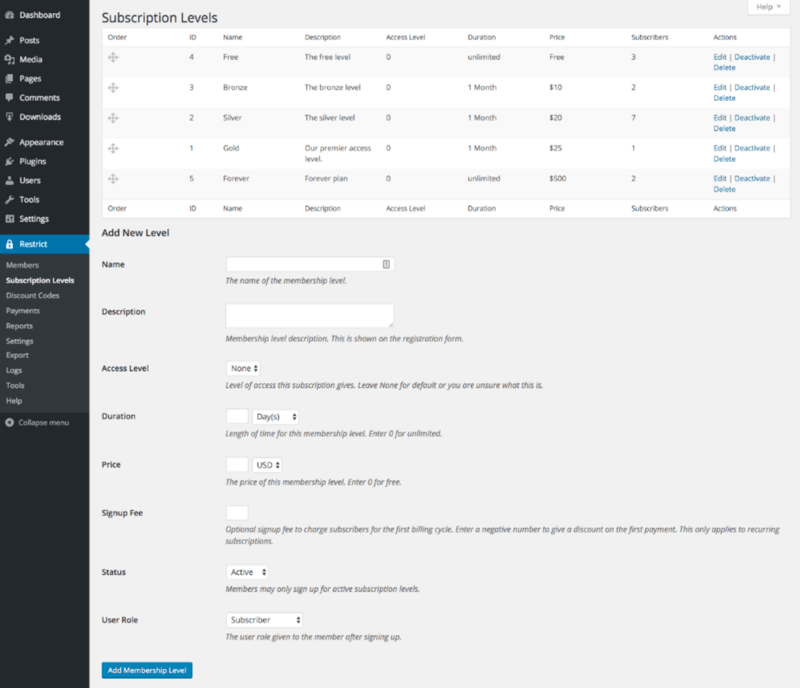 Each subscription level has the option to set an access level between 1 and 10, or none. When members subscribe to a subscription, their account is considered to have the same access level that is assigned to the subscription level. This means that a member that subscribes to a subscription with an access level of 5, will also have an access level of 5. Maybe I misread the above explanation. Actually I would be happy to be wrong 🙂 as that function is what I’m looking for. Ah yes, we do not currently support multiple concurrent subscriptions. It’s something we’re planning to add, but we don’t have an estimated date yet. I find that Justin Tadlock’s “Members” plugin (free) is the most flexible as it can be used with any payment solution, oAuth/SSO solution, Gravity Forms etc… It works really well and the code good quality. Any thoughts on non-membership, pay-per-view restriction of content? I have a client that wants to allow pay-per-view on some highly niche video content. Hi Richard. You can find plugins that will allow you to restrict content on a pay-per-view basis, such as this premium option: https://premium.wpmudev.org/project/pay-per-view. 3. Administrators — full access to uploaded content. Would this work? Any other suggestions? Oops — I now see comments above that answer my question. You mention a “free” version, but there is no such mention on their website. Can you elaborate? Looking for a simple way to restrict access to “members” with passwords, but not to monetize this access (basically, for members of our church to access member-only data). You mentioned that it plays well with Divi. What do you mean by that? Hi Conrad! What we meant is that Restrict Content Pro is fully compatible with Divi – you won’t see any conflicts between the two. Looks like someone using this plugin with Elegantthemes, I assume Divi, has a different experience…and the reply by the plugin author suggests that their plugin would in fact not play well with Divi builder …? I have a few websites built with Divi/Extra that use RCP. I think they work really well together. The only thing that is not possible is to place the opening RCP tag in one module and the closing one in another module. You can restrict an entire page or category. 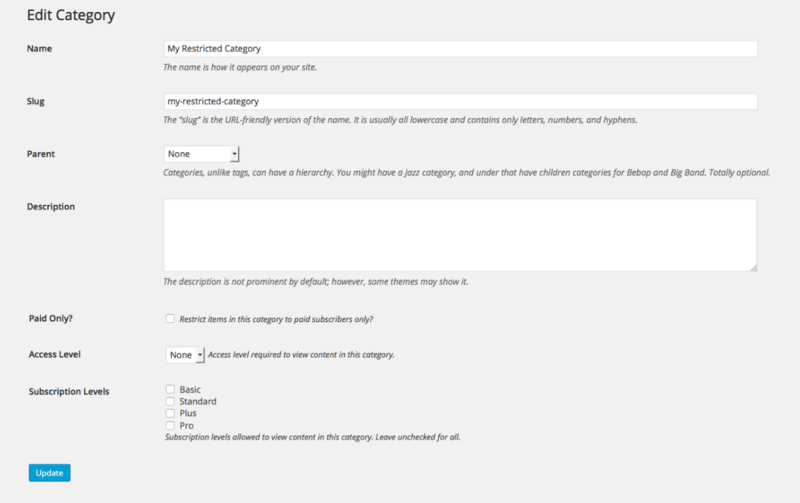 You can also restrict content when both the opening and closing RCP tags are in the same module. Cool! i was looking to block some photos of clients that didn’t approve their photos to public view – im going try the free version first – thank you! Thanks for the information about RCP. I’m going to offer an online course and I have been trying to decide between something like RCP and using an online course software like ZippyCourses. I’d love to hear some pros and cons from you and from others. Hi Heather! We’re not very familiar with the functionality of ZippyCourses, but check out this article that covers both options (along with plenty of others): https://www.wpkube.com/best-wordpress-membership-plugins-match-budget/. Can you recommend a few themes that work well with restrict content pro? Restrict Content Pro works with most themes.